Dove’s Campaign for Real Beauty has gone viral this month with the launch of “Evolution”, a 60 second journey from real beauty to retouched glamour. The Evolution TV ad is appearing on YouTube, MySpace and Google Video, topping viral popularity on lists such as The Viral Chart. The Dove Evolution spot opens with a woman and make up artist entering the screen. Without makeup the woman’s face reveals slight “imperfections”. 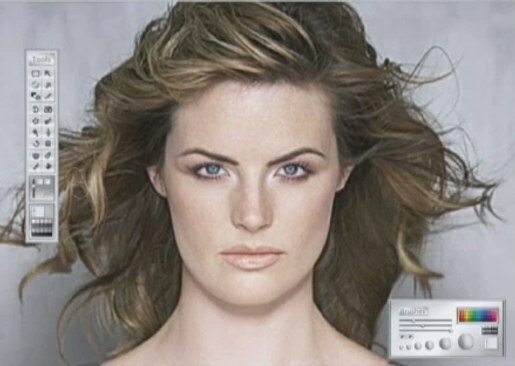 Over fifteen seconds we see the model’s face softened, her hair ‘beautified’. The clip moves to a digital enhancement software window in which the woman’s skin is smoothed out, lips are filled out, neck is lengthened, hair is thickened, eyes evened and enlarged, and face narrowed. 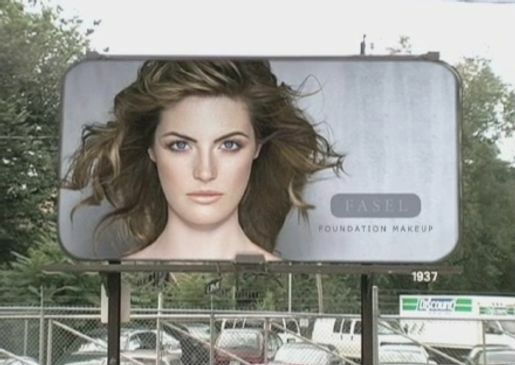 All ready for posting on a billboard advertising Fasel Foundation Makeup (a fictional product). The super: “No wonder our perception of beauty is distorted. Take part in the Dove Real Beauty Workshops for Girls”. There’s a reference to the Dove Self-Esteem Fund. Dove Evolution was developed at Ogilvy & Mather, Toronto, by creative directors Nancy Vonk and Janet Kestin, art director/copywriter Tim Piper, art director Mike Kirkland, and agency producer Brenda Surminski. Filming was directed by Yael Staav via Reginald Pike, Toronto, (now with Soft Citizen) and Tim Piper, with director of photography Tico Poulakakis and producer Jennifer Walker. Editing was done by Paul Gowan at Rogue Post, Toronto. Animation was done by Kevin Gibson at Soho Post, Toronto, with producer Stephanie Kouverianos. Graphics were developed by Eric Makila, Bob Zagorskis. Photographer was Gabor Jurina. Retoucher was Edward Cha. Makeup artist was Diana Carreiro. Music was composed by David Hayman and Andrew Harris at Vapor Music Group, Toronto. Rogue Editorial’s Paul Gowan, the editor who oversaw the cutting of the spot says, “The advertising community and general public are fascinated about how we did the execution, which prompted the ‘Making of Dove’ video.” He goes on to explain the post production process that brought about the stunning visuals of the digitally altered face within a quick sequence of images that appear to be a single shot. The Dove Evolution viral campaign won a Cyber Grand Prix Lion award at Cannes International Advertising Festival 2007.